This is the seventh book in the Pet Rescue Club series. In volume 7, the Third Street Shelter is at capacity…with lots and lots of cats! Luckily, Janey, Lolli, Adam, and Zach are on the case! They all must work together to find loving homes for as many cats and kittens as they can. Will the Pet Rescue Club find a way to help? 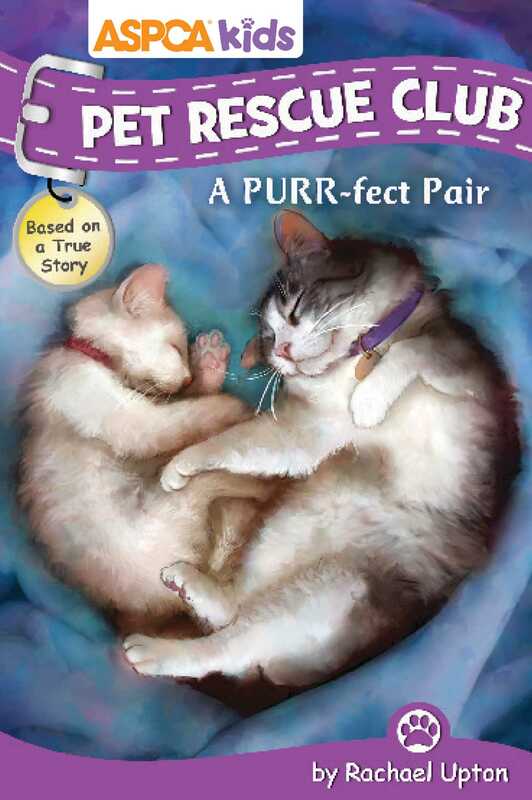 Read along to find out if they find a few purr-fect pairs! Read a book and help save a life: 5-7% of the purchase price of every ASPCA® (American Society for the Prevention of Cruelty to Animals) Pet Rescue Club book goes directly to the ASPCA® so they can continue their mission of helping the helpless, with a minimum donation of $50,000 through December 2019. Steve James was born in Midland, Texas, in 1973, the fifth of nine children. He has always enjoyed making pictures. Steve received his BFA in illustration from Brigham Young University where he studied traditional painting techniques. Since then, he has worked in the entertainment industry as an illustrator and concept artist. Steve latched on to digital art at an early age. He first used a computer tablet on the TI-99/4a in 1983 and is happy he his is not limited to eight colors today. He now finds the computer a wonderful tool for getting what is in his head out where other people can see it. Steve enjoys running around town like a crazy man and wishes his body would not break down so much. Many people believe he only runs as an excuse to fuel his shoe collecting habit and dress like a superhero. He now lives in Lehi, Utah, with his wife and crazy cat.